Most of us must have seen or heard of Ooty, Manali, Shimla and other popular places, which no doubt are places of great natural beauty. But how many of us have seen the lesser known natural wonders of India? From caves so long that they seem never ending to crater formed by asteroid impacts and from living root bridges in Meghalaya to coral reefs of the Arabian Sea in Lakshadweep. India truly is a place of many natural wonders and any other list may fall short in front of it. We’ve picked “20 best natural wonders of India” and hope that it inspires you to visit some that you haven’t already. 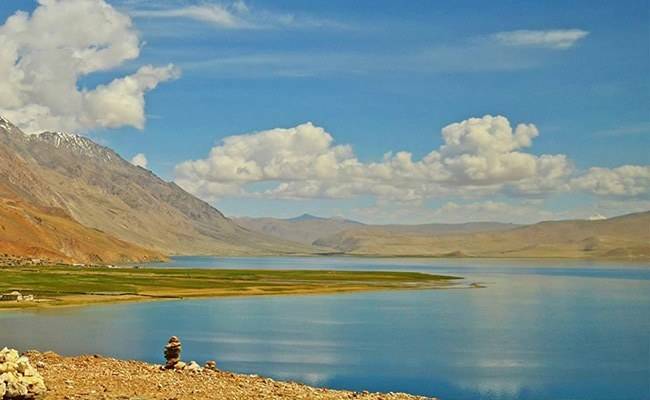 Officially called the Tso Moriri Wetland Conservation Reserve, it is the largest of the high altitude lakes entirely within India. Located in the Ladakhi part of the Changthang Plateau, it is fed by springs and snow melt from mountains due to which it’s largely accessible in summers. Aridity and cold desert conditions prevail in the lake region which houses over 34 species of Avifauna and over 10 types of mammals. How fascinating it is to discover that something like an asteroid has left its mark on the Earth! 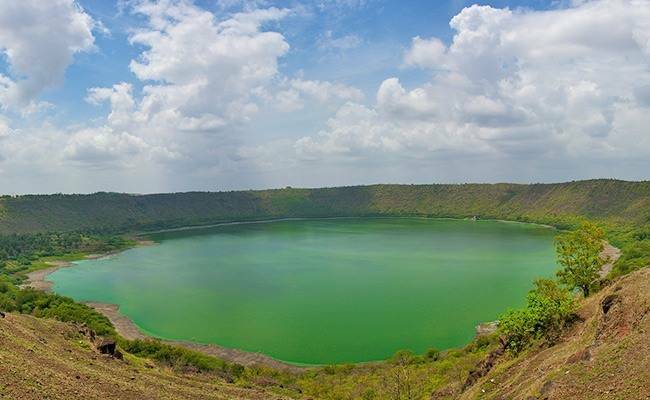 The Lonar Crater Lake is one such mysterious creations of the nature, when thousands of years ago the Universe was angry on the Earth for being naughty and the wound it caused, it never healed. It just became indefinitely gorgeous. Okay the theatricals of travelers like us can cease now. Lonar Lake is a saline soda lake located at Lonar in Buldana district, Maharashtra, India, which was created by a meteor impact. Lonar is distinguished by the fact that it is the world’s third largest crater. It has its genesis nearly 50,000 years ago, when a 2 million-ton meteorite impacted the earth to create a depression 150 meters deep. Lonar has evolved into an idyllic expanse of sky blue water amidst a sprawling emerald forest that stretches around it. The lake is both saline and alkaline in nature. Numerous temples surround the lake, most of which stand in ruins, except for the temple of Daitya Sudan at the center of the Lonar town which is a fine example of early Hindu architecture. Nohkalikai Falls is the tallest plunge waterfall in India measuring 1115 feet (340 metres). 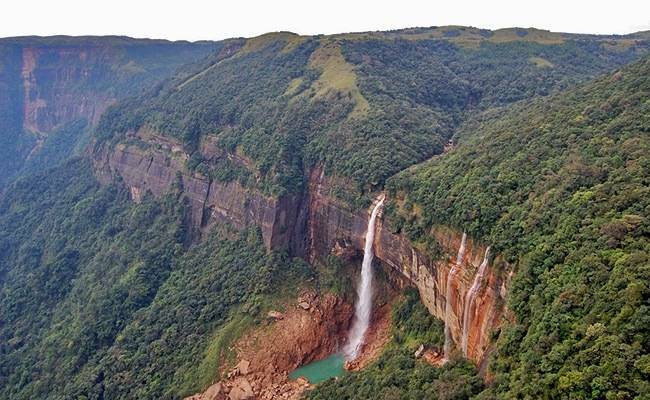 The waterfall is located near Cherrapunji, one of the wettest places on Earth. The name of the falls in Khasi language meaning “Jump of Ka Likai” is linked to a legend about local women Likai who jumped off the cliff next to the falls; Nohkalikai Falls are fed by the rainwater collected on the summit of comparatively small plateau. Below the falls there has formed a plunge pool with unusual green colored water. The force of water has carved a waterhole which remains blue in the winter and turns green in the summer months. The flow of water is profuse in summer while the flow recedes in the winter to a small stream giving the impression of a white rope against the green forest. 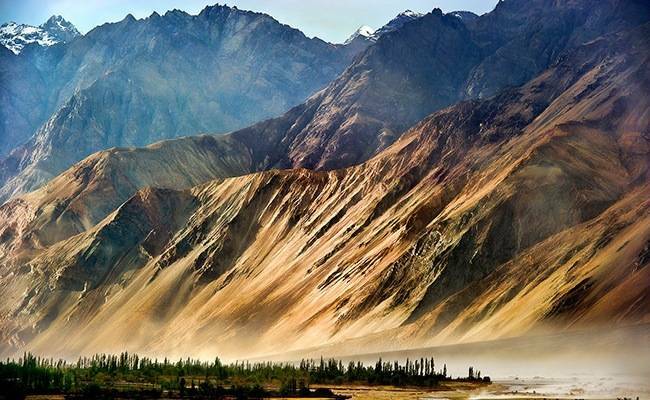 North of Leh, lies a far-flung and austerely beautiful enclave cradled by rugged mountains ‒ this is the Nubra Valley (often simply abbreviated to Nubra), a tuft of land on the very scalp of India. It is a tri-armed valley located to the north east of Ladakh valley. The Shyok River meets the Nubra or Siachan River to form a large valley that separates the Ladakh and Karakoram Ranges. The Shyok river is a tributary of the Indus river. The main attraction in this area is the Bactarian Camels around sand dunes, Deskit and Samstanling monasteries. The most common way to access this valley is to travel over the Khardung La pass from Leh town. 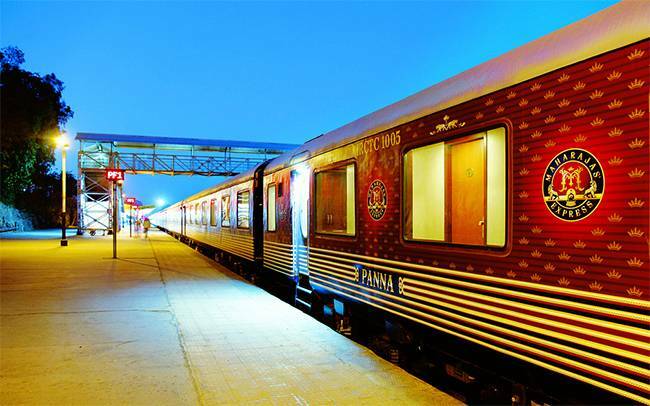 Permit is not required for Indian tourists though foreign tourists still require the permit. 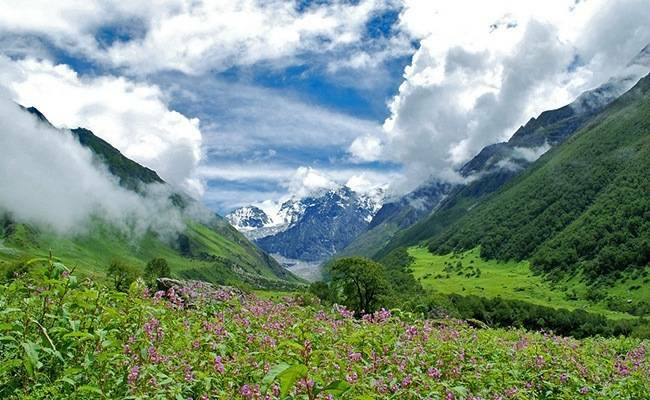 Valley of Flowers is a splendid national park in West Himalayas. Nestled in Uttarakhand, this alluring place is famous for its charming meadows of alpine flowers. Endowed with a diverse range of endemic flora, it is picturesque in its beauty. This lush region is also home to some rare and endangered animal species like Asiatic black deer, snow leopard, musk deer, red fox, brown bear and blue sheep. Legends believe it to be the place from where Hanuman had collected the Sanjeevani buti for curing Lakshmana. This place has floral pastures, running streams and beautiful backdrop of the mountains. 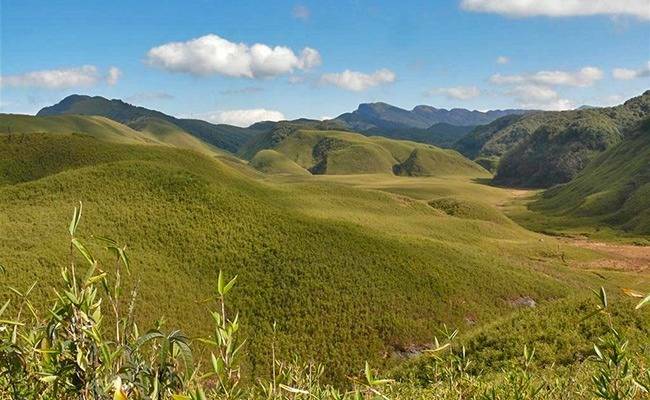 The Dzükou Valley is a valley located at the border of Manipur and Nagaland. The valley is well known for its natural beauty, seasonal flowers and the overall flora and fauna. Dzükou derives its meaning from the Angami/Mao word which translates to “Cold Water” referring to the ice cold stream that flows through the valley. 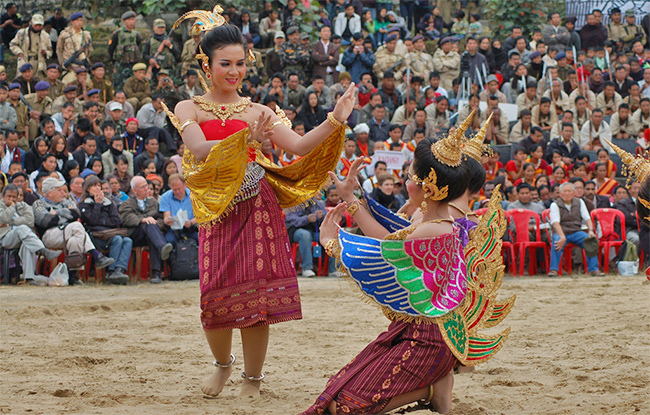 Visitors from the Indian mainland require an inner line permit to visit Nagaland, which may be obtained from the Nagaland House. Dzukou Valley has its finest weather between June to September and gets really cold during winter- it’s best to avoid visiting the valley during this time. 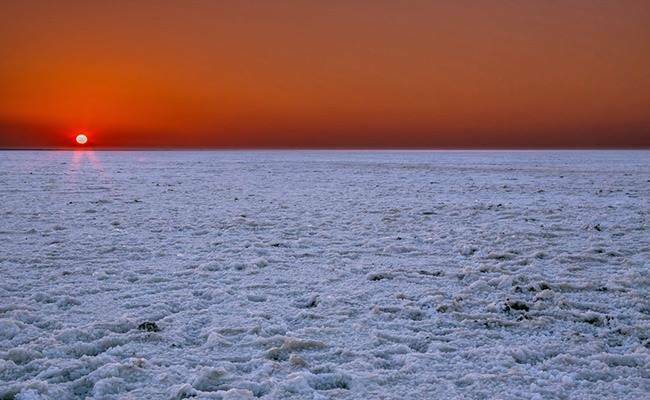 The great Rann of Kutch, known to be the largest salt desert is located in Gujarat, India, extending to Sindh province of Pakistan. In India’s summer monsoon, the flat desert of salty clay and mudflat, fills with standing water. In very wet years, the wetland extends from the Gulf of Kutch on the west through to the Gulf of Cambay on the east. At night, an unexplained strange dancing light phenomena known locally as Chir Batti (ghost lights) occurs in the Rann. Although most of the marsh is in protected areas, the habitats are vulnerable to cattle grazing, firewood collection and salt extraction operations, all of which may involve transportation that disturbs wildlife. There are several wildlife sanctuaries and protected reserves on the Indian side in the Rann of Kutch region. 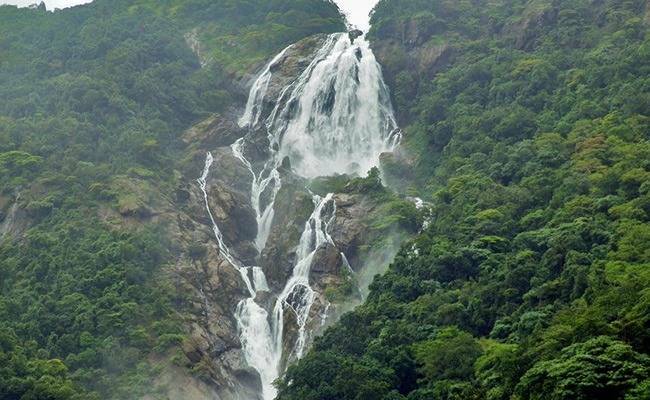 Dudhsagar Waterfall is perched in the high peaks of the Western Ghats. The waterfall appears like streams of milk rushing down the mountainside, located in the Sanguem taluka. After pouring across the Deccan plateau, the headwaters of the Mandovi River form a foaming torrent that splits into three streams to cascade down a near-vertical cliff face into a deep green pool. 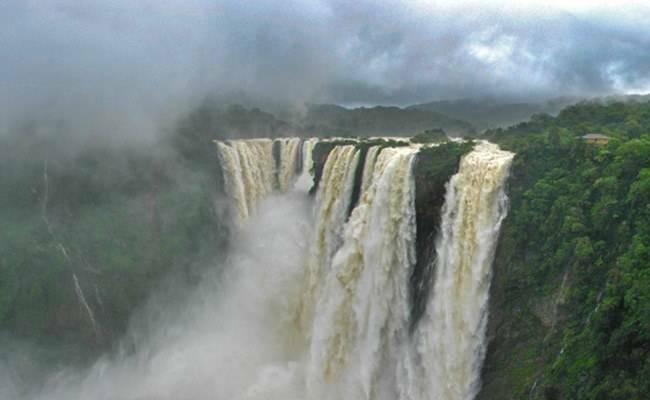 The Konkani name for the falls, which literally translated means “sea of milk”, derives from clouds of milky foam which rises up at the bottom of the falls. Dudhsagar is set amidst breathtaking scenery overlooking a steep valley with pristine tropical forest, only accessible on foot or by train. Measuring a mighty 600m from head to foot, this waterfall on the Goa-Karnataka border, attracts a plethora of visitors. 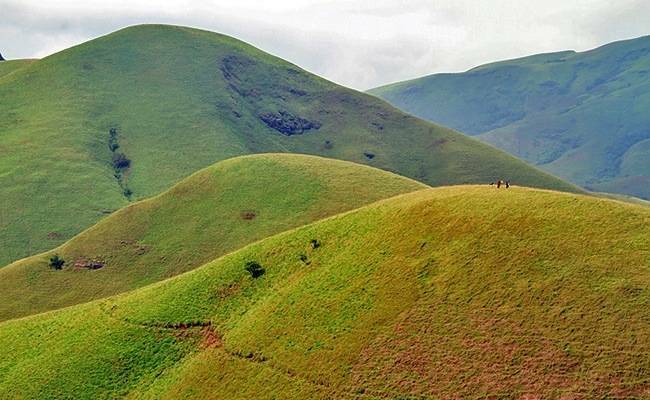 Kudremukh also spelled Kuduremukha, is a mountain range and name of a peak located in Chikkamagaluru district, in Karnataka. Kuduremukha literally means ‘horse-face’ and refers to a particular picturesque view of a side of the mountain that resembles a horse’s face. The park is covered with thick hilly forests, mostly evergreen and semi-evergreen near the coastal plains. The park is surrounded by Coffee and Tea plantations on the northern and eastern boundaries. Jog Falls also called Gersoppa Falls and Jogada Gundi is the second-highest plunge waterfall in India. Cascading from a height of 253 meters, the waterfall consists of four distinct cascades – known locally as Raja, Rani, Rover and Rocket. Located in Sagara taluk, on the Shimoga and Uttara Kannada district border these segmented falls are a major tourist attraction. The beauty of the waterfalls is enhanced by the lush green surroundings, which provides a scenic backdrop to the falls. 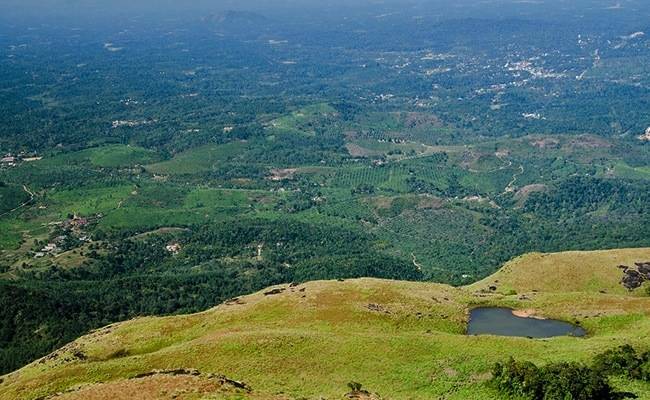 Chembra Peak is the highest peak in Wayanad at 6,900 ft above sea level.It is part of the Wayanad hill ranges in Western Ghats, adjoining the Nilgiri Hills in Tamil Nadu and Vellarimala in Kozhikode district in Kerala. A heart shaped lake on the way to the top of the peak is a major tourist attraction. The lake is believed to have never dried up. One can find the lake halfway to the peak. This place is an ideal destination for trekking activities. Prior permission from the Meppady forest office needs to be taken before going for a trek at Chembra Peak. Overnight camping is not allowed due to lurking wild animals. 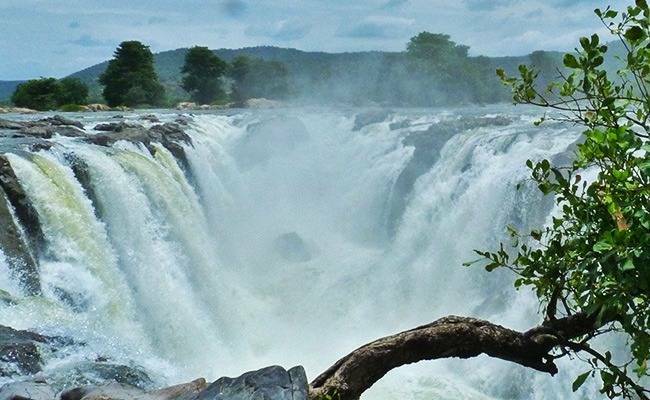 Hogenakkal Falls is a waterfall on the river Kaveri, located in the Dharmapuri district of Tamil Nadu, also referred to as the “Niagara of India”. The name of the waterfall has been derived from two Kannada words – ‘hoge’ meaning smoke and ‘kal’ meaning rock because the mist created by water hitting the rocks creates a feeling of smoke emanating from the rocks. It is also called as Marikottayam by the locals. With its fame for medicinal baths and hide boat rides, it is a major site of tourist attraction. The best season to visit is soon after the monsoons, when the river is in full thrust. 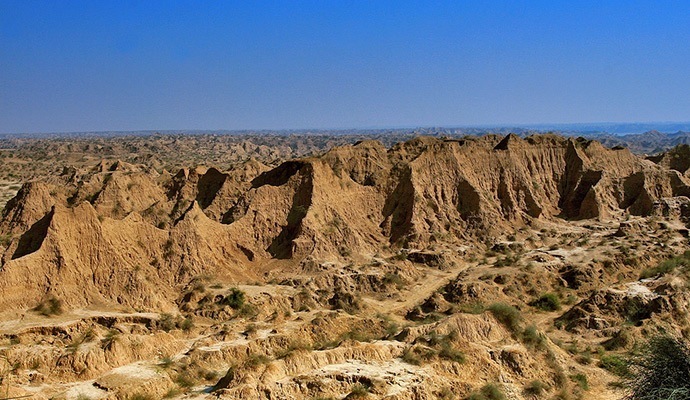 Carbonitite rocks in this site are considered to be the oldest of its kind in South Asia. Sundarbans is the largest single block of tidal halophytic mangrove forest in the world. 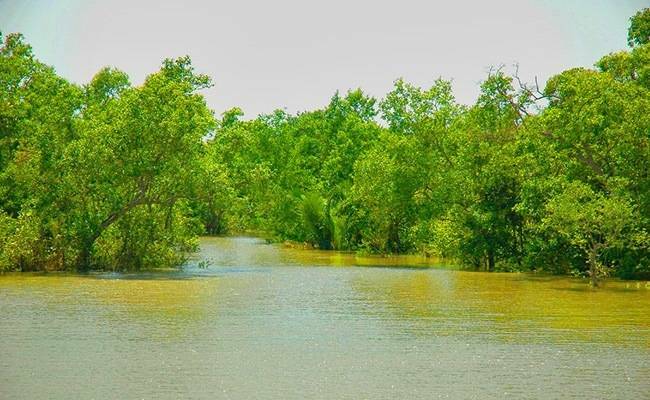 Sunderbans, largest delta of the world, covers approximately 10,000 square kilometres (3,900 sq mi) of which 60 percent is in Bangladesh with the remainder in India. The Sundarbans National Park is a National Park, Tiger Reserve, and a Biosphere Reserve located in the Sundarbans delta in the Indian state of West Bengal. This region is densely covered by mangrove forests, and is one of the largest reserves for the Bengal tiger. The Sundarbans provides a unique ecosystem and a rich wildlife habitat. Fishing cats, macaques, wild boars, common grey mongooses, foxes, jungle cats, flying foxes, pangolins, and spotted deer are also found in abundance in the Sundarbans. 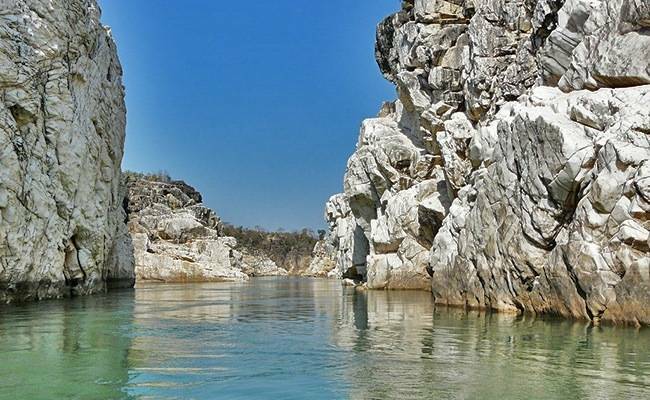 Marble Rocks also known as Bhedaghat, is a gorge, formed by Dhuandhar water falls nestled on the Narmada River, 21 km. from Jabalpur, in Madhya Pradesh. The soft marble gorge, stretches a distance of 3 km with the Marble Rocks towering nearly 100 feet high above the flowing river. The white marbles are covered with dark volcanic creases of green and black making the contrast even more enchanting in a boat ride. The best time to visit and experience the best of the Marble Rocks is between mid-October and April as the weather is pleasant at this time of the year. Monsoons should strictly be avoided, as boating, one of the most recommended activities at the Marble Rocks, is shut from July till mid-October. 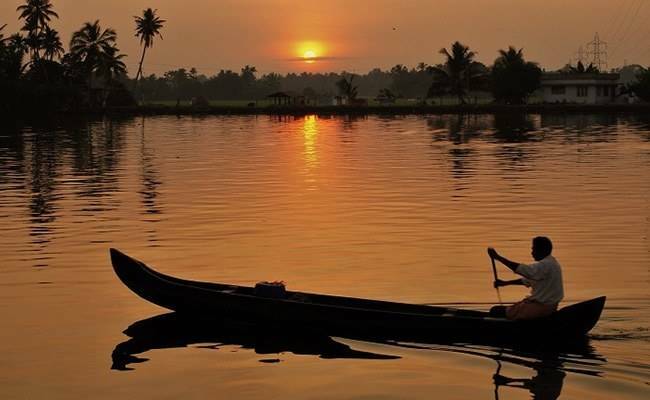 The Kerala Backwaters are a network of interconnected canals, rivers, lakes and inlets, a labyrinthine system formed by more than 900 km of waterways. Most of the Kerala backwaters are naturally formed and some of the backwater canals are manmade. The kettuvallams (Kerala houseboats) in the backwaters are one of the prominent tourist attractions in Kerala. Each Kerala Houseboat has a fully equipped kitchen and an experienced cook to prepare authentic Kerala cuisine with sea food specialties and fresh vegetables. Here man and nature strike up a balance of co-existing harmoniously beyond the distractions of urbanization. The Borra Caves, also called Borra Guhalu (‘Borra’ means something that has bored into the ground and ‘guhalu’ means cave), are located on the East Coast of India, in Andhra Pradesh. Borra caves are the natural caves, that are said to have originated from the Gosthani river, which flows through these caves, over the limestone area. The pressure was exerted by the humic acid in the water on the mineral deposits and the limestone dissolved in the water. The dissolved limestone trickled down drop by drop forming the different shapes in the cave. These Borra caves spread over the one square km and are formed over the period of millions of years. One of the most astonishing man-made natural wonders known as Living Root Bridges. Innovative members of the Khasi tribe have trained them to grow from the roots of ancient rubber trees, native to the northeast region. The root bridges provide a stable alternative to wooden bridges, which decay and get destroyed during the lengthy monsoon seasons. 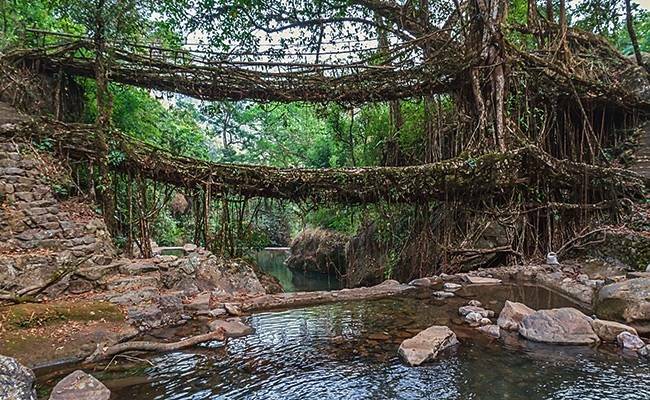 Meghalaya‘s double-decker and single-decker root bridges are unique in the world and are a sight to behold. The bridges are tangles of massive thick roots, which have been intermingled to form a bridge that can hold several people at a time.. The living bridges are made from the roots of the Ficus elastica tree, which produces a series of secondary roots that are perched atop huge boulders along the streams or the riverbanks to form bridges. 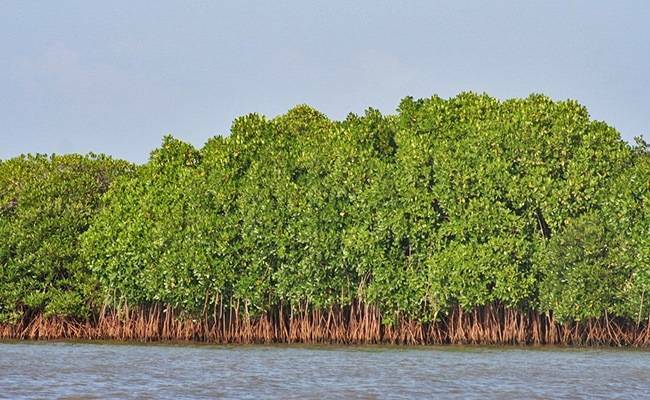 Pichavaram (MadBoon) has a well-developed mangrove forest. Pichavaram consists of a number of islands interspersing a vast expanse of water covered with green trees. The area is about 1100 Hectare and is separated from the sea by a sand bar. The Pichavaram mangrove biotope, consisting of rare species like Avicennia and Rhizophora presents a special attraction, with its peculiar topography and environmental condition. It supports the existence of many rare varieties of economically important shell and finfishes. The Pichavaram mangroves attract an appreciable bird population of residents, local migrants and true migrants. Amongst others, one can view birds like snipes, cormorants, egrets, storks, herons, spoonbills and pelicans. The season for birds is from September to April every year. Tamil Nadu Tourism Development Corporation and the District Administration of Cuddalore District have proposed to conduct an Eco Tourism festival namely “Dawn Fest” at Pichavaram. 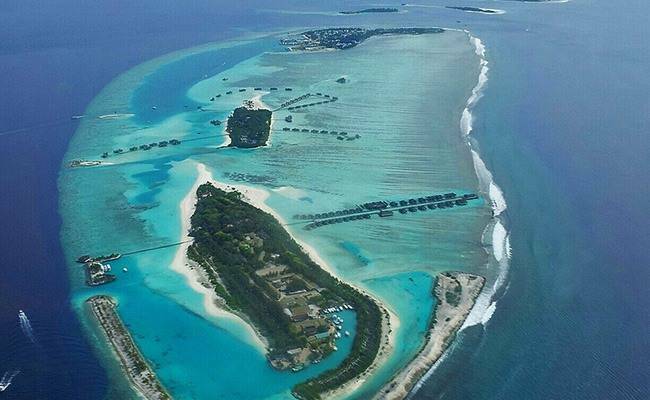 The Lakshadweep Archipelago forms a territorial ecoregion together with the Maldives and the Chagos. It has over 600 species of marine fishes, 78 species of corals, 82 species of seaweed, 52 species of crabs, 48 species of gastropods, 12 species of bivalves, 101 species of birds. It is one of the four coral reef regions in India. The corals are a major attraction for the tourist. Pitti Island, is an important breeding place for sea turtles and for a number of pelagic birds. The island has been declared a bird sanctuary. 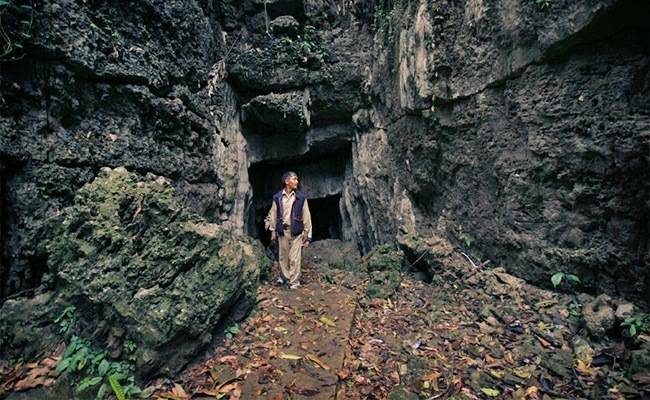 At about 34 km, Krem Liat Prah in Jaintia Hills of Meghalaya is the longest cave yet discovered in the whole of Indian Subcontinent. The exploration of the cave is still ongoing and its discovered length could further increase. 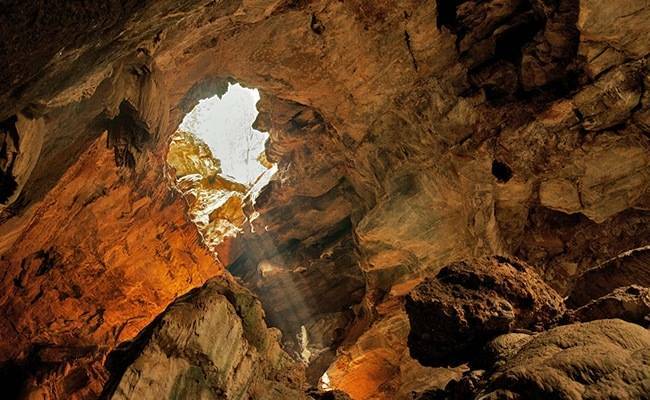 There are over 150 caves known caves in the Shnongrim Ridge of Jaintia Hills. An enormous trunk passage, known as the ‘Aircraft Hangar’ is the most popular feature of the cave and is open to tourists. Best way to explore these caves is go via caving expeditions which are arranged by few adventure companies. North Goa or South Goa - Where Should You Stay?